→ 9:30PM – Live music by bands on both levels of the club! → 12:00AM – Burdel Dali DANCE PARTY! : Raphlex, DJ Mishto, DJ Mishka. ✿ LIVE MUSIC: Nevermoon, Tiho, and more! ✿ HOOKAH & BULGARIAN FOOD!! WE’LL BE TAKING FOOTAGE FOR OUR UPCOMING PROMO VIDEO! DAZZLING COSTUMES ENCOURAGED: FLOWERY GYPSY CARNIVAL STYLE! Wear bright colors, coin scarves, flowers in your hair, and shoes you don’t mind destroying on the dance floor! You can’t go wrong with a tambourine either. Don’t miss our epic prelude to brass, beer, and beaches in summer 2010! ★ FREE ADMISSION to BURDEL DALI on our list all night. Photography by nightlifebaby and Tchaikovsky Darling. 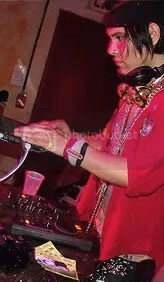 Hosted by Michelle Christina of Tchaikovsky Darling. Wine is cheap, life is short, and history repeats itself! Queen of the Gypsies (Russian: Табор уходит в небо, lit. 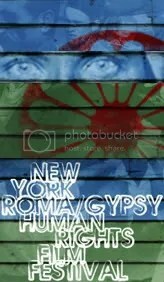 “The gypsy camp goes to heaven”; also known as Gypsies Are Found Near Heaven is a 1975 Soviet film by Emil Loteanu, loosely based on various works by Maxim Gorky. Set in early 20th century Bessarabia, the film tells the love story between the gypsy girl Rada and the horse thief Zobar of Gorky’s early 1892 short story “Makar Chudra” (Russian: Макар Чудра). Events happening across the city, including film screenings and dance party at Mehanata – download the pdf above or click here for the Mehanata Myspace blog post. Thanks for coming on Thursday night to our April Fool’s day party! It was a drunken fit of passion until 4AM on a backdrop of Emir Kusturica’s Black, Cat White Cat. 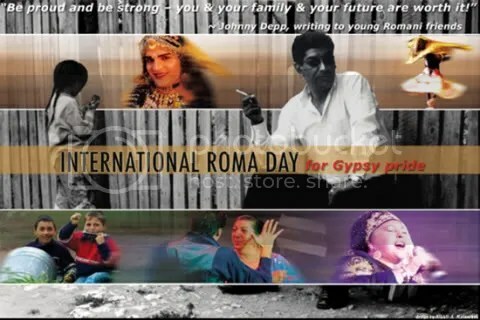 Next week will be another visually stimulating, circle-dancing throw down with events held in honor of International Roma Day. Check out the full schedule and we’ll see you on the dance floor! Three music loving, glass breaking global citizens who have taken on the ridiculously jovial mission of spreading trans-global beats, audio folklore, and border-jumping dress codes as far as it will reach from our outpost. We are available for all manner of events from private parties to museum gallery opening receptions, weddings, concert after-parties, festivals, and anything else that requires a frantic dose of hyper-festive global appeal. Our weekly party has been rattling the lower east side for over three years and we're waiting for you to come and sink your teeth into this crazed celebration of world-wide anthems! 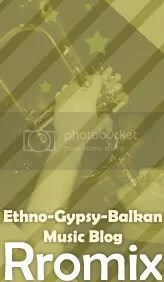 Chalga mash-ups, bhangra beats, Russian festive & soviet dance floor killers, Klezmer marches, odes to Ex-Yugoslavia, Hungarian lullabies, cumbia over-dose! 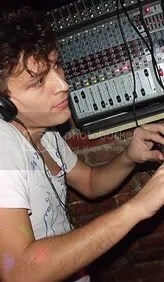 Every Thursday at Mehanata Bulgarian Bar (113 Ludlow, between Delancey & Rivington). Live music at 9:30PM, Raphlex & Mishto at 11:30PM. Special appearances all over the place. Stay in touch to see where we'll be next! Add us on facebook to stay up to date on parties.